Scott Kelby is an author, publisher of periodicals on Adobe Photoshop and photography, and a photographer from America. His periodicals deal with personal and Macintosh computers and are specifically on design for artists, professionals, and photographers. His type of photography is mainly portraits and landscapes. He is also one of the prolific authors in the industry of digital imaging. Scott was born in 1960 in Lakeland in Florida. He is the publisher and editor of the Photoshop User magazine. He is also the co-founder and president of the National Association of Photoshop Professionals (NAPP) and the president of the Kelby Media Group. The Kelby Media Group is a training, publishing, and software firm based in Florida. He is also the training director in the Adobe Photoshop Seminar Tours and the technical chair for Photo Shop World centre. He has been featured in a couple of online training classes and DVDs in Photoshop and has been a trainer since 1993. Scott is a designer, a photographer, and an award-winning author of dozens of books. These books include The Digital Photography Book, the Light Room Book for Digital Photographers, the iPhone Book and many more others. Most of Kelby’s books have been translated into many other languages like French, Taiwanese, Japanese, Dutch, Swedish, Italian, German, and Portuguese, among others. In the year 2007, Scott designed Kelbytraining.com. This website brought most of his training materials on line in one easy to locate site. In 2008, he began the “Scott Kelby Worldwide Photowalk,” which mostly consisted of community photo walks in 1,300 cities all over the world with over 30,000 photographers taking part. 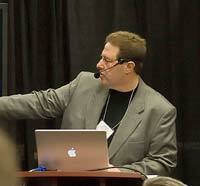 Since 2005, Scott has been a co-presenter in the Photoshop User TV video podcast. It was named after his own organization’s flagship magazine. It is a 30-45 minute TV show which started as Photoshop TV. It is available for downloading and viewing every week at the Kelbytv.com site. In the show, Kelby and friends from NAPP talk about Adobe Photoshop tutorials and news in a bantering and witty style. In 2011, Scott started a weekly TV Talk show for all photographers. It is called The Grid and airs live on Wednesdays at 4:00 PM ET. On the show, they discuss the current photography issues and take live questions from the watching audience. They also give Blind Photo Critiques at the Kelbytv.com site. Scott has joined like Facebook and Twitter where he has a huge fan base. His YouTube channel has a huge following with many views, too. Kelby has received the coveted Benjamin Franklin Award and he is a bestselling author. His book Digital Photography became the best-selling book in the history of digital photography. He was also named the best selling technology/computer author in the world for six straight years.